So what exactly is the CMMA? The CMMA is the CSS Members Manufacturers Association. If you are a CSS designer with your own brand and said brand debuted a new model THIS YEAR, Post your entry here to be shortlisted for consideration in the CMMA 2011 Car of the Year contest. Good luck designers!!! This contest will end on Dec 31. Hmm, Montgomery Group have had 5 new models this year; 2 of those were just variants of 2009's Icon (sedan and RSport) so I'm crossing those off the list. That leaves the Montgomery Gyro VII, Montgomery Mío, and Shannon Type 6. I think the Mío is a bit too compromised by its "budget car" design to be a suitable COTY candidate; however, I'm not sure whether to choose between the Gyro and Type 6. Last edited by SV; 12-18-2010 at 07:18 AM. 5 major LG releases this year past, The new Lokar Idas convertible is a varient of the 2009 Idas so I wont enter that, The VjUE8 and the Lokar Landslide SUV are both pretty good, esp the Landslide... but unfortunately havn't many really good pictures. This leaves the very important Lokar Escape supermini and the new TS Brenin. So I also have to choose between a supermini and an E segment saloon. 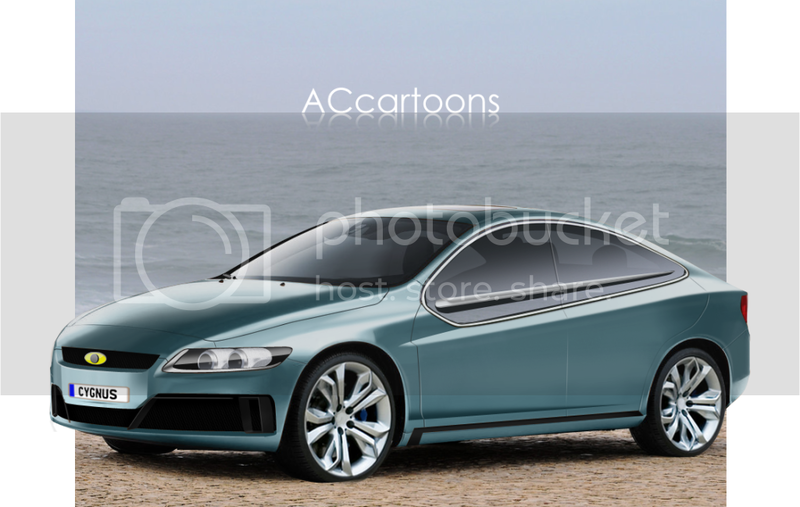 However although I have a nice render of the Brenin it's a side view and not great for portraying my ideas so I' going with the Escape. I only have three qualifying designs this year And I don't know which to choose because I like them all in different ways. So this is just for drawings or renderings? If that's the case, then I nominate my Zeus IV. It's very rarely that any of my 'art' goes exactly to plan, but this one came out as the bold, chiseled design I had in my head. I'd like to develop this further one day. Maybe when my skills improve. If chops are allowed, then I'll enter the Impetus Cygnus. I like this. It's different. Last edited by TheSwageLine; 12-19-2010 at 11:29 PM. As a practical means of narrowing down my entry, I decided to borrow SV's strategy and disqualify models that, despite bowing in 2010, were iterations of previously-debuted models, however tenuous the relation (The Hiperión LM-S and the Abante Qh were thus out of contention). That left the Alcotán, which I was pretty proud of anyway. Iota's most significant new model this year is the Transport. The first MVP propelled by fuel cells, it seats six people in unique iota style. Last edited by ElementW; 12-21-2010 at 01:32 AM. All very good looking designs! Clarkman have had a quite year, but in 2011 there will be a load of new cars, the 1st may debut in Detroit!